No money for Stage 2 of light rail in the 2019 Federal Budget. For all the Government talk about regional Australia, Labor-voting Canberra doesn’t appear to get much of a look-in in this election Budget despite it being Australia’s biggest regional centre. The ACT’s big-ticket items were announced ahead of the Budget – $68 million for health, including $13.5m for Canberra Hospital’s Intensive Care Unit, and $50m for roads – $20m for the duplication of William Slim Drive and $30m for the Kings Highway, which is in NSW. That other NSW road, the now notorious Barton Highway could have also done with some of that big infrastructure spend. And Unions ACT was ungracious to suggest that previous Coalition cuts to health meant the ACT was still way behind. For Canberra, it’s what isn’t in this Budget that is important. 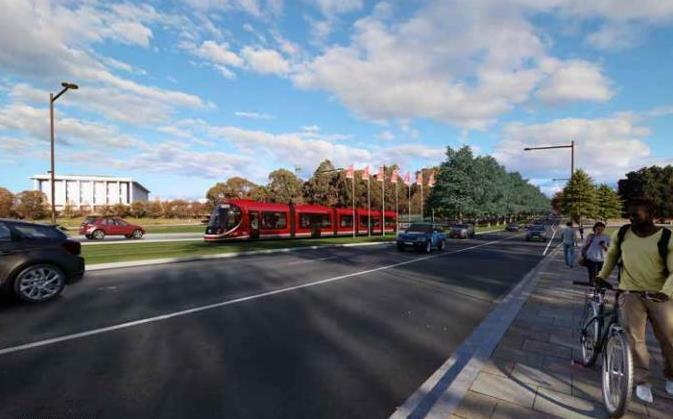 While the Coalition made much noise about congestion busting and regional transport links, there is no money for Stage 2 of light rail in Canberra, despite its obvious merits and the fact that it will carry many of the Government’s public servants to the Parliamentary Zone and home again. One would have thought the Coalition could have matched Bill Shorten’s pledge of $200 million for light rail in Labor’s first budget, just to stay competitive in the looming election. Evidently, one would have thought wrong. And the national capital seems to have fallen off the map when it comes to the Government’s fast rail program of $2 billion for Melbourne-Geelong and $40 million to fund five business cases for fast rail between Brisbane and the Gold Coast, Sydney and Wollongong, Sydney and Parkes (via Bathurst and Orange), Melbourne and Albury-Wodonga, and Melbourne and Traralgon. “These five corridors connect capital cities with major regional centres and warrant investigation due to the opportunity to shift commuter demand from road to rail and the opportunity to stimulate regional growth,’’ the Budget papers say. There are already business cases under way for Sydney and Newcastle, Melbourne and Greater Shepparton and Brisbane and the regions of Moreton Bay and the Sunshine Coast as well as Toowoomba to Brisbane. But what about Sydney to Canberra? Surely Canberra is a regional centre that deserves to be better connected to the biggest capital city in the country, especially when the ACT and NSW are already working on ways to speed up the journey and would welcome a boost. Maybe Canberra is being left for the Very Fast Train, of which there is no mention. The National Library of Australia is a big winner with $10m over four years for its digitisation program. Photo: Jack Mohr. There is also no mention of Canberra in the Department of Infrastructure, Regional Development and Cities’ City and Regional Deals program designed to drive jobs, economic growth and liveability in key urban centres and regions. Deals are already up and running in Townsville, Launceston, Darwin, Western Sydney, Hobart, Geelong and Adelaide and the Government has committed to develop new ones in Perth and South East Queensland, as well as the Hinkler, Albury-Wodonga and Barkly regions. It’s as if the ACT exists on a different plane, or playing field. Maybe it’s the Canberra bubble. But the Government does have plans to export jobs from Canberra to the ‘real’ regions, continuing its decentralisation push with 191 jobs from Comcare, Indigenous Business Australia, the Australian Financial Security Authority, the Murray Darling Basin Authority, the Department of Infrastructure, Regional Development and Cities, and the Department of the Prime Minister and Cabinet going bush. 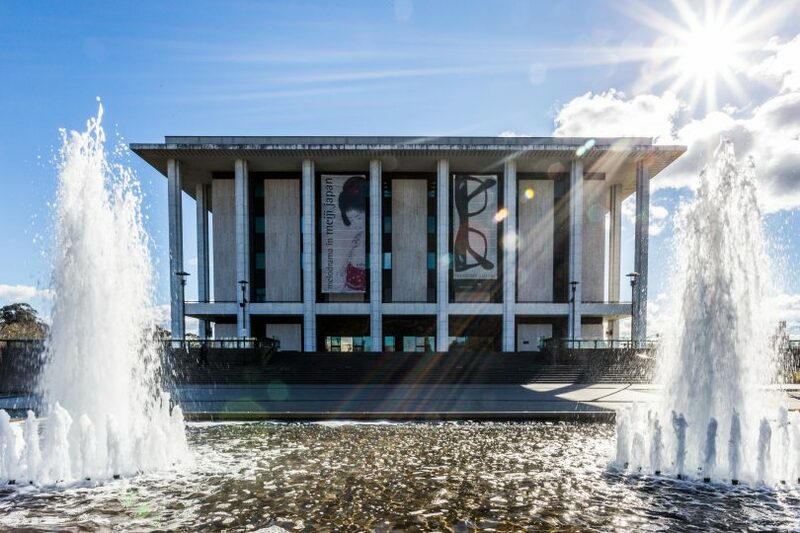 Despite this, the size of the Australian Public Service looks set to grow, particularly at the Australian War Memorial which will get an extra 12 staff to deal with increasing visitor numbers and the controversial redevelopment plans. The other national cultural institutions have been spared cuts, although Old Parliament House will lose two staff and the National Archives of Australia 12. But they have also not been the beneficiary of any new measures, except for big winner the National Library of Australia. The Library’s free and immensely popular digital resource, Trove, has secured funding of $10 million over four years to continue the digitisation of the Library’s collection, providing access to a range of resources to people across the country. No money though for digitisation at the equally deserving National Film and Sound Archive or the National Archives. Questacon will get $15.1 million over three years from 2019-20 to expand its education and outreach activities across Australia, including in remote and regional communities. Bill Shorten will reply on Thursday evening and by the end of the weekend, we should be off to the polls, probably on 11 May. If Labor wins, this Budget is history and shadow treasurer Chris Bowen will frame a new one later in the year. Maybe the Bush Capital will get back on the map. Oh come on, we have so much in Canberra compared to other regional areas. Andrew Satrapa the best approach to get budget priority is to alternate every single election. Then we’d be guaranteed to have money thrown at us by both parties. Weak advocacy and economic incompetence and lack of vision by a certain incumbent in a "safe" Senate seat too busy toppling prime ministers and waging wars to stand up for Canberra. Time for a change. For this reason I am endorsing Anthony Pesec. A token commitment (which is what $200m. is compared to a guesstimate total of $1.5bn upfront, or whatever it is this week) could lose more votes than it wins, from people who are starting reflect on the reality vs. the vision. The last time Canberrans put a Liberal in the Reps was Brendan Smyth’s cameo appearance in the mid-90s – both sides know the ACT is utterly predictable, aside from the periodic excitement over the second Senate seat, so why would they waste precious vote-buying dollars here……. They must of thought Barr and his mates were experts at raising revenue within the ACT, that no addition money would be needed. You know why it hasn’t received any federal funding? Because there is no business case and it hasn’t been put to Infrastructure Australia for assessment and inclusion in Australia’s priority infrastructure list. And why is that? Because there’s no way it’s viable and will certainly have a cost benefit ratio of less than 1. Why would you prefer inefficient spending and pork barreling over a structured and robust funding process? … and just what use is another Green? Same as the rest, fairies-in-the-bottom-of-the-garden stuff. Ray Atkin take a look at Anthony Pesec then. First viable and sensible Centre Right alternative we have had to for about six years. Hmm, impressive stuff, Civ Eng, and host of other achievements.Wonder how he considers Base Load electricity should be produced, where he would direct his preferences. Well what else could anyone expect? The L-NP won’t assist Cba any more than it must because the majority of the constituency votes Labor purely out of habit. Labor won’t do anything for Cba because the majority of the constituency votes Labor purely out of habit, Labor doesn’t have to do anything to assist Cba. The MHR’s and Senators are there purely for show. Neither party gives to ACT to be fair. But Zeds Dead Baby said funding for the improvement of Monaro HWY past Hume is coming our way. The liberal nats hate the ACT - even though it’s a regional centre created to service the government of the day. They couldn’t care less for anyone living in the ACT. The words used to describe the town by them show their utter contempt. And this is why we still have only one trauma hospital for the entire city - and it’s been struggling for years. Those federal politicians don’t care about health services here because they go to better funded and run hospitals in their own states if they need care - they don’t live here. This budget announced more federal job cuts for Canberra and more moves out of Canberra. They really don’t give a toss if anyone here votes for them or not. Again. Thanks Zed for nothing.